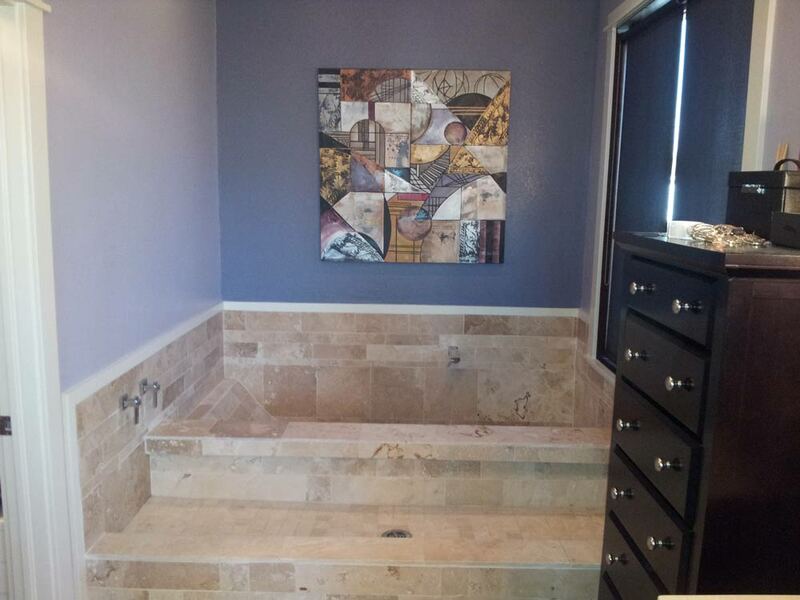 Client wanted to keep existing floor, countertop and vanity cabinet, but wanted a functional tub and steam shower. Materials were hand selected to coordinate with existing. 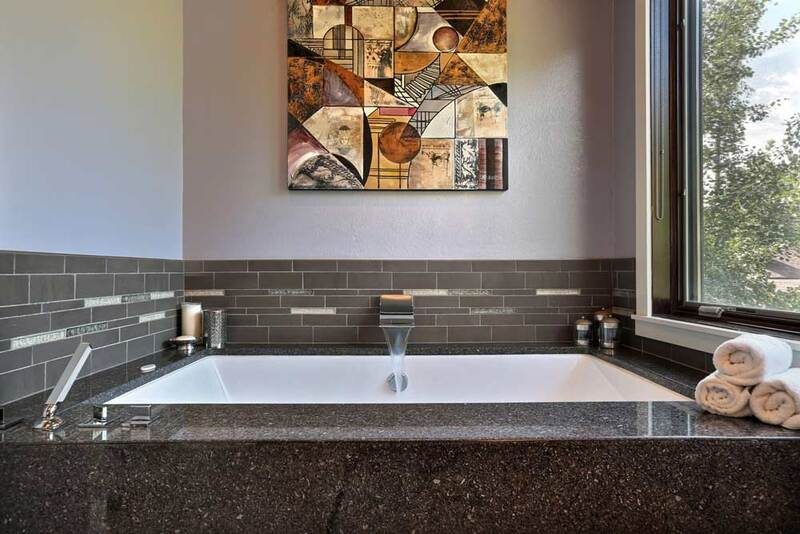 Undermount spa tub in Cafe Imperial Granite, Custom made tile – stacked accent pattern, shown in steam shower and around tub. 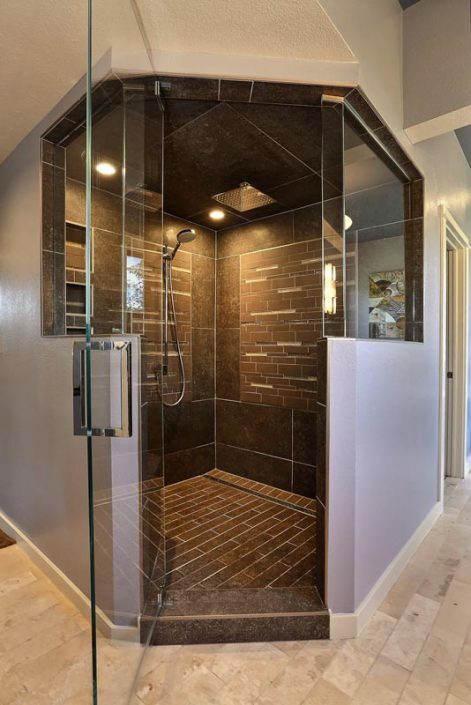 Wall mounted waterfall tub filler. Lavender and gray color palette.Italian porcelain tile, glass mosaic tile on ceiling, niche and shower pan. 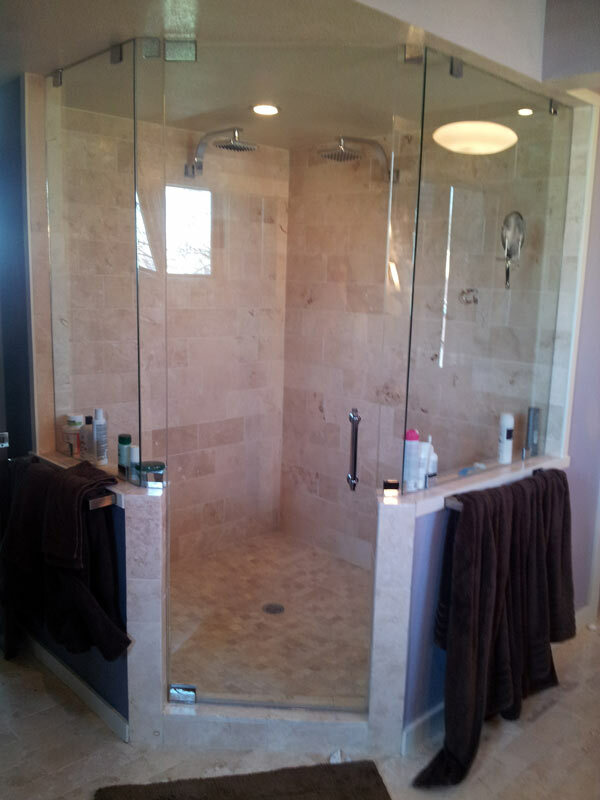 Features steam shower, rainhead and handspray head on European shower bar.